High-quality, brushed stainless Sits on counter or mounts to the wall Includes removable sifters Includes 4 extra sifters with smaller holes, if needed Screws included. 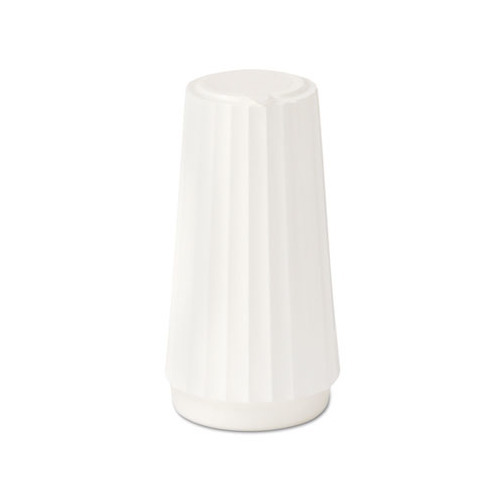 These white salt shakers are perfect for lunch rooms, breakrooms, cafeterias, restaurants or wherever condiments are needed. They're conveniently pre-filled. They're also disposable, so you never have to worry about re-filling or losing them. 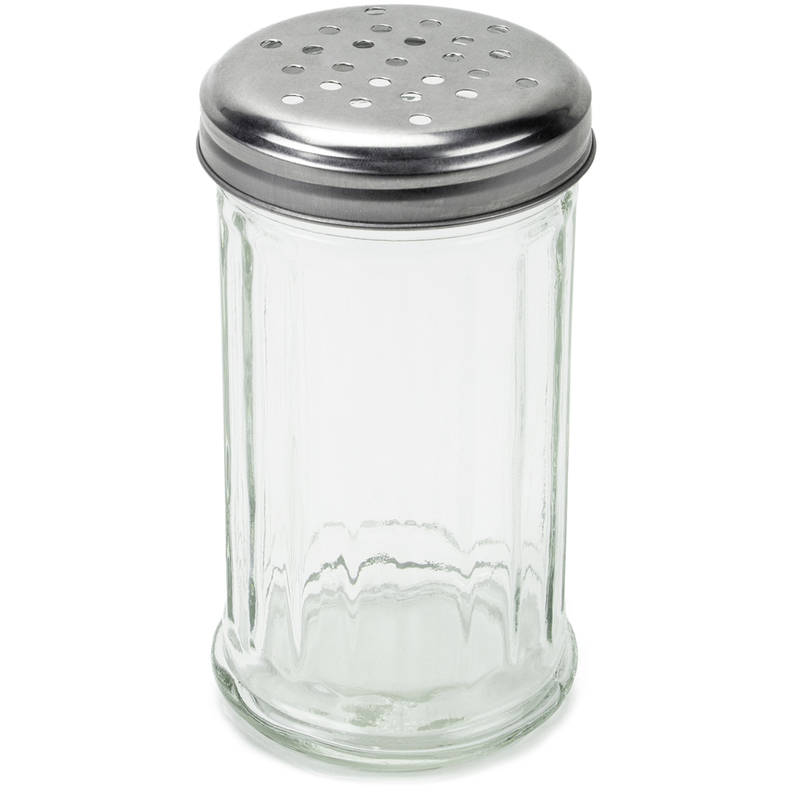 Food Type: Condiment; Flavor: Salt; Capacity (Weight): 14.5lb; Capacity (Volume): 4 oz. Add some flavor to your food with a few simple shakes! This commercial grade straight-sided glass flute with metal lid will add a classic touch to your table. 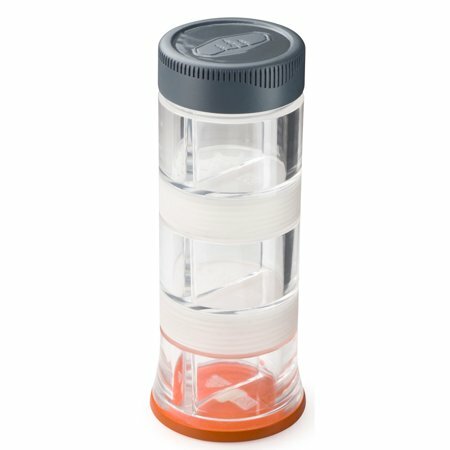 Each shaker holds 12 ounces of your favorite cheese crumbles and spices. Add some parmesan, mozzarella, or red pepper flakes! They make a great addition to any diner, Italian restaurant, pizza shop, or even your kitchen table. You can keep these in the back of the kitchen for your chefs and wait staff to use as well. When you're finished with a shaker, simply wash it out and use it again! Dishwasher safe, top rack only. 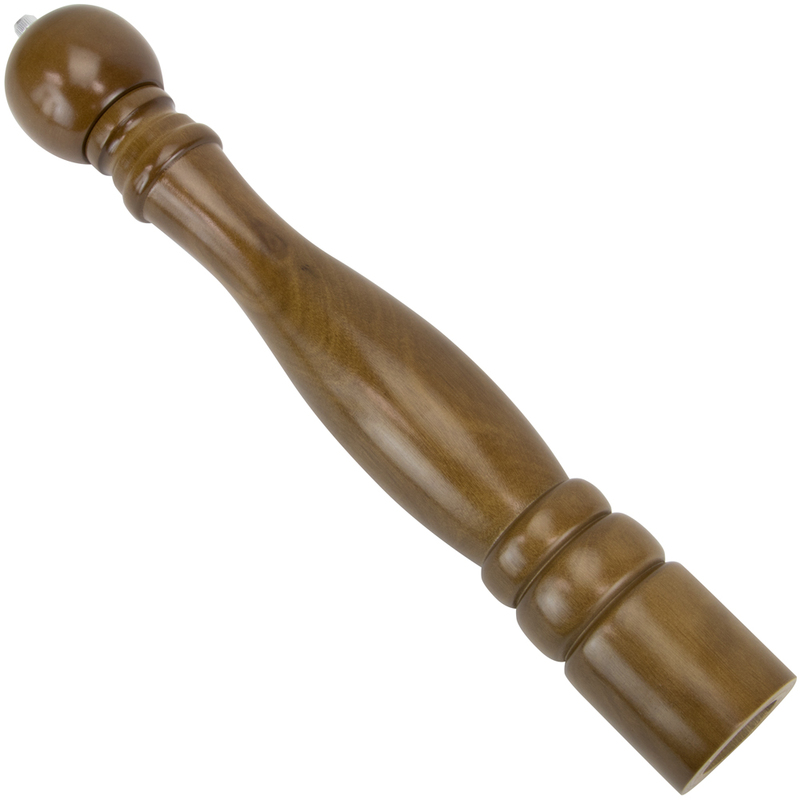 This shaker will add a restaurant quality feel to your table or counter top. 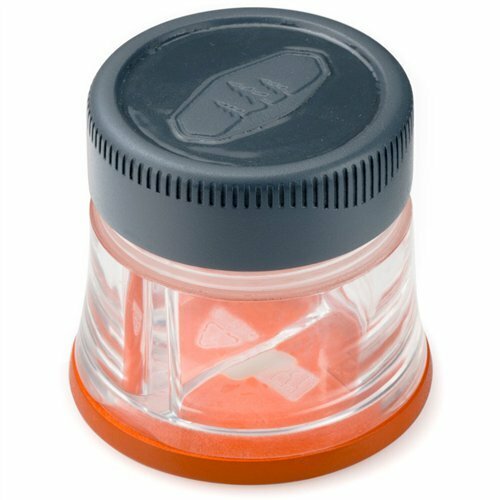 The wide-mouthed design and twist-off lid makes it easy to refill without making a mess. The holes on the top of the lid are extra-large to easily fit larger flavors like cheese crumbles, pepper flakes, and herbs. Grind and store peppercorns, salt granules, and seasonings. 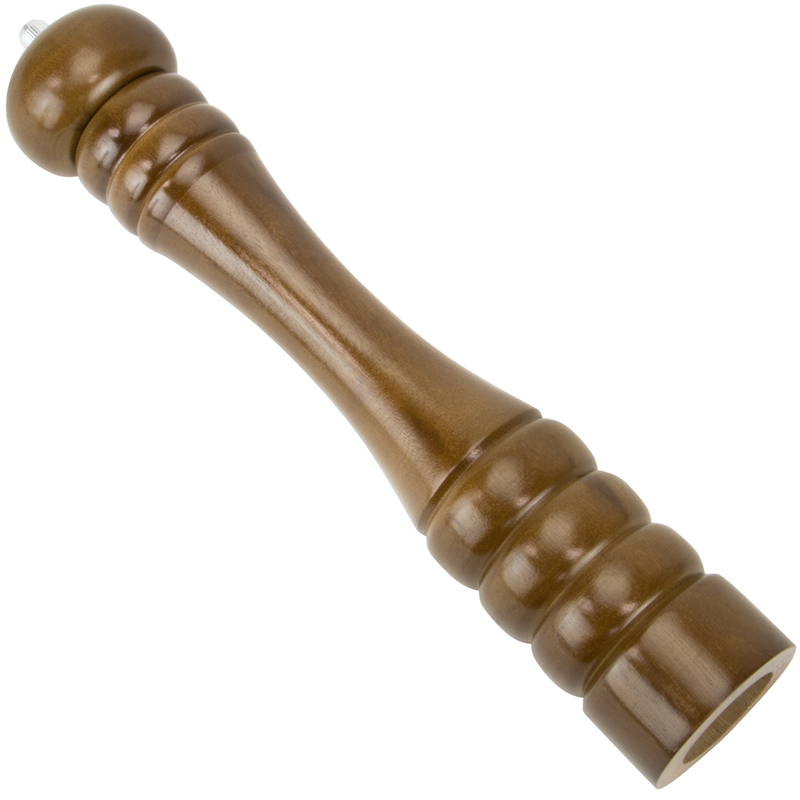 Our professional pepper mills are simple to use and make perfect seasonings that add an extra kick to any meal. It features a durable, mahogany wood mill body that brings class to any occasion. 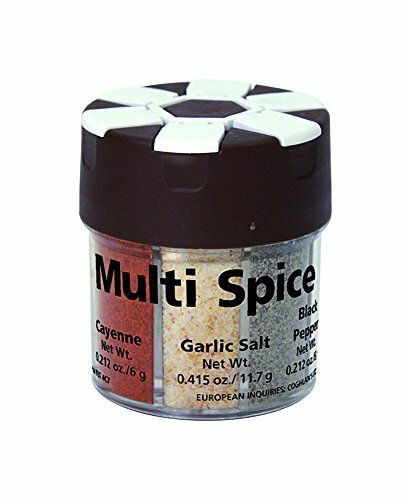 Useful for head chefs in the kitchen, for waiters and waitresses to offer seasonings to patrons right at the table, or for home use. Remove the top, fill the middle, replace the cap, and crank it for freshly-ground seasonings in seconds! These professional spice grinders are great for storing and grinding peppercorns. Use them in the kitchen, crank them for customers, or leave one at each table. Their rich mahogany wood look fits right on a restaurant table. Manually grind your seasonings with an inner lining ceramic grinder, just twist the top and enjoy! 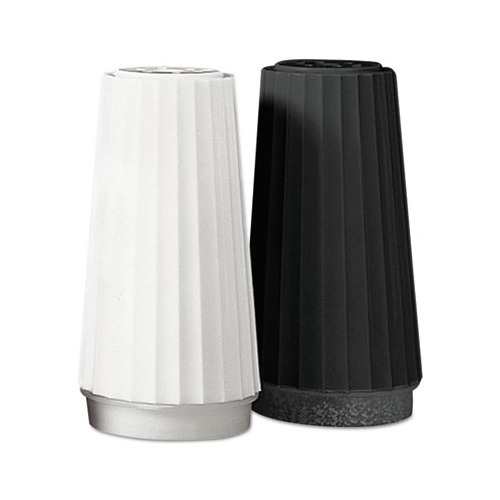 Almost any food is made better with a little salt and pepper or spice to give it an extra kick, make sure your customers have both with restaurant style salt and pepper shakers. Each set comes with 12 shakers, enough for six tables to have one salt and one pepper shaker or three or four options for spices. 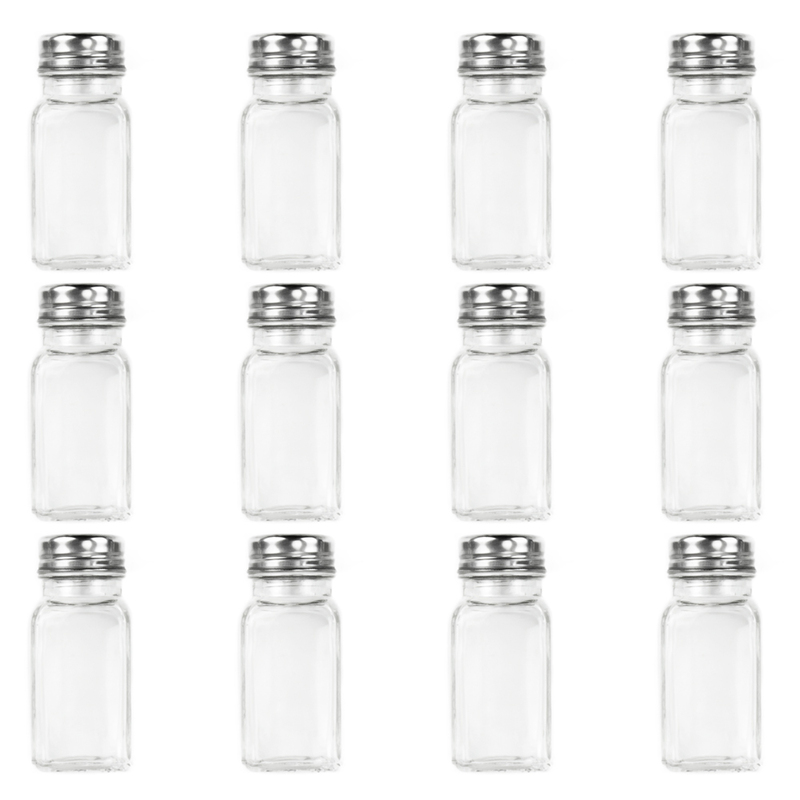 Replace old, plastic salt and pepper shakers with transparent glass shakers. 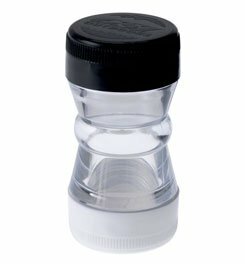 These quality shakers feature a mushroom top style, stainless steel lid with a simple screw cap lid design to make refilling shakers quick and easy. Twist off the lid, fill the container to the neck with your mixes, and twist it back on again. When it's time to clean them, remove the lids and place each piece onto a dishwashing rack or flatware and peg racks used in restaurants. 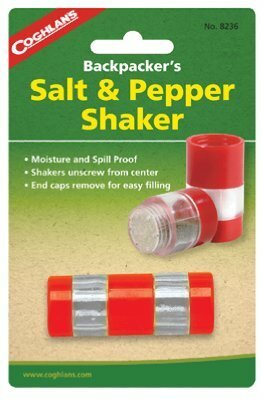 Each 4" x 1.5" shaker holds 2.5-ounces of salt, pepper, seasonings, spices, and any other mixes you need them for. These standard size shakers are perfect for any tabletop: restaurants, food trucks, kitchens, and more. 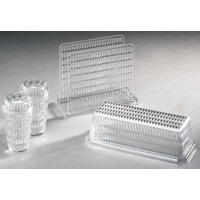 Glass shakers are more durable than plastic shakers and add value to your business. Due to their transparency, they allow customers to see what's inside them, so they don't mistakenly use the wrong spice for their meal. 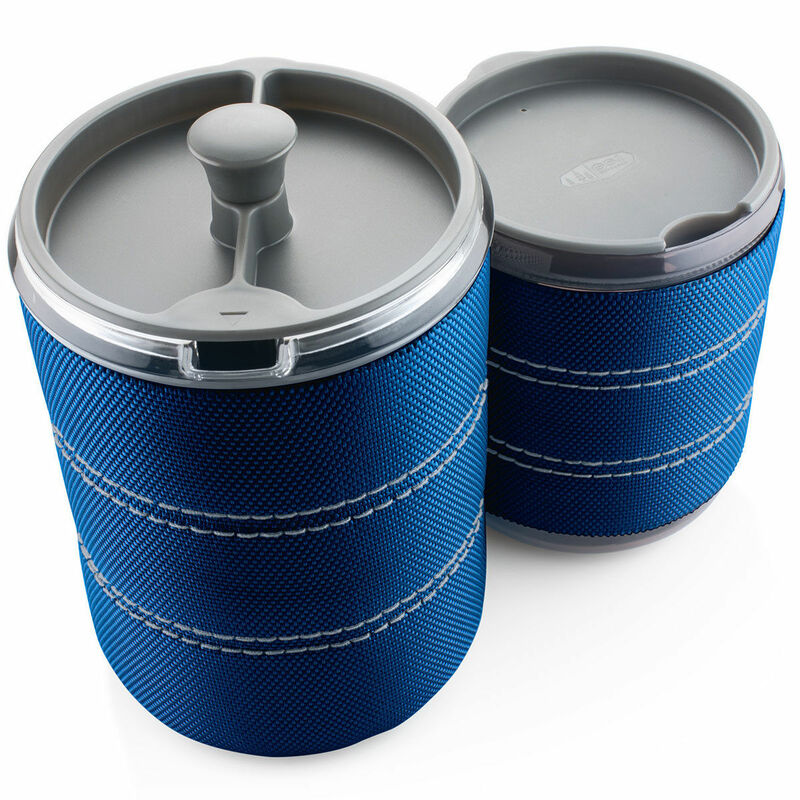 These shakers are food service essentials and it is the standard to have at least two per table. 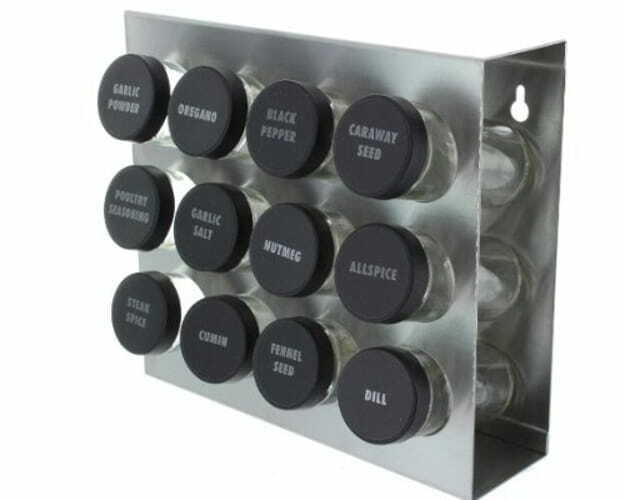 They fit well on most dining room condiment caddies and cruet-stands. Make the perfect combination of sugars and spices. 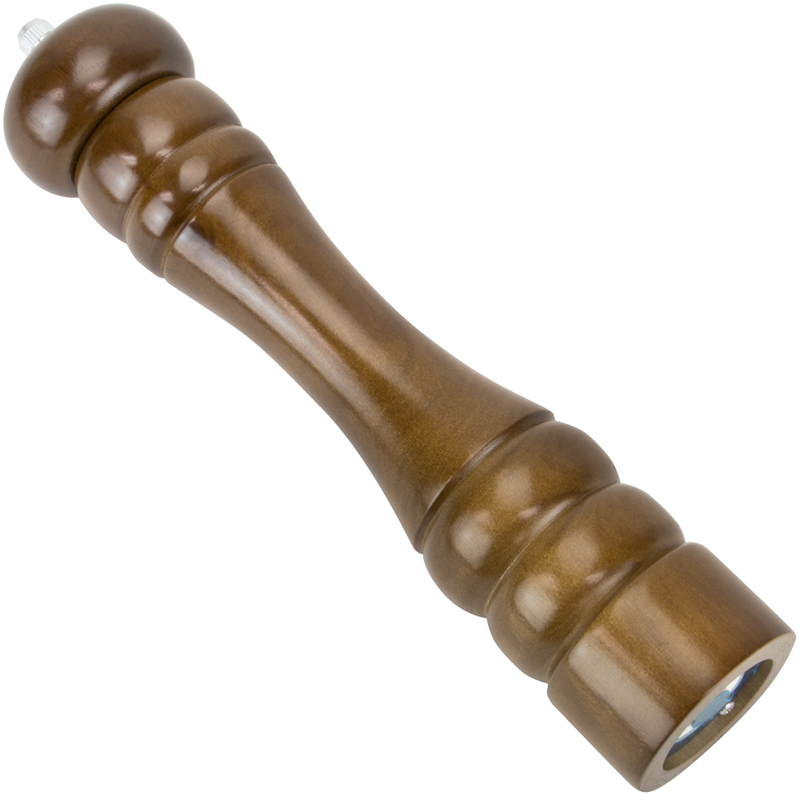 Dredge shakers are a classic tool for dispensing condiments right onto food! Each shaker holds approximately 10 ounces and measures 4.5" tall with a 9" diameter around the body. 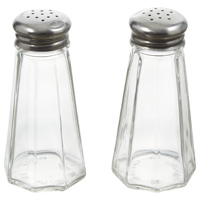 These metal bodied shakers are commercial-grade restaurant quality. They're great for the back of kitchen use for chefs, waiters, and waitresses, as well as for placing right onto dining tables and condiment caddies. 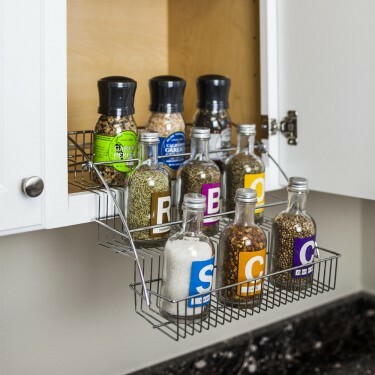 These shakers dispense anything you need: cinnamon sugar, spices, sugary combinations, cheeses, powdered sugar, sweeteners, as well as salt and pepper! 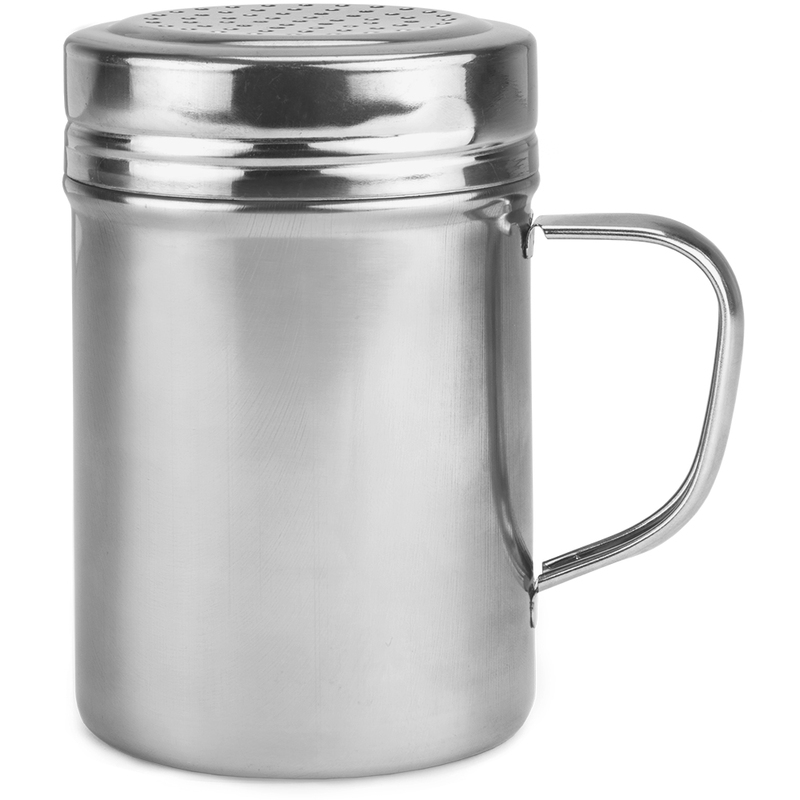 Each shaker has a classy stainless-steel, screw-top lid and a premium metal body; it works just as good as it looks. Add them to your catering supplies as they're easy to pack up and take with you to any event. Our shakers feature a 10-ounce capacity for extended use. White ceramic bird design salt & pepper shakers from The Perfect Host Collection. Stacked design. FDA approved, food safe. This mouthwatering sampler pack includes all five CanCooker seasoning blends in one convenient package. Each MSG-free blend is perfect for seasoning meals before cooking or at the table. 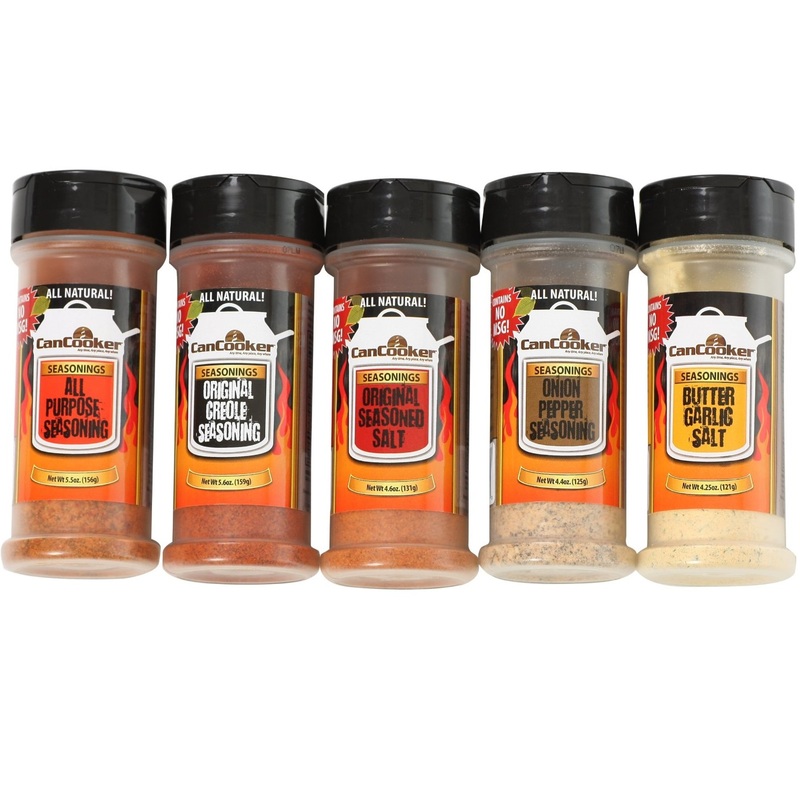 The CanCooker Seasoning Sampler Pack includes: Original Seasoned salt which adds a zesty kick to any CanCooker dish - meat, veggies, soups, pastas, casseroles, batter mixes and more! 4.6-oz. Butter Garlic Seasoning offers an irresistible blend of butter, salt and herbs for CanCooker dishes and cookout favorites likes popcorn, fries and burgers. 4.5 oz. Onion Pepper Seasoning features a savory blend of pepper and onion that's great on CanCooker potatoes. It's also versatile for adding flavor to any CanCooker meal, like meat, game, chicken and seafood. 4.4 oz. All-Purpose Seasoning offers a well-balanced blend of coarse-ground salt and spices that's great on CanCooker meals and cookout staples of all types. 10 pk Lemon Lime Shaker Tray. Display your Shakers in style. These gray pepper shakers are perfect for lunch rooms, breakrooms, cafeterias, restaurants or wherever condiments are needed. They're conveniently pre-filled. They're also disposable, so you never have to worry about re-filling or losing them. 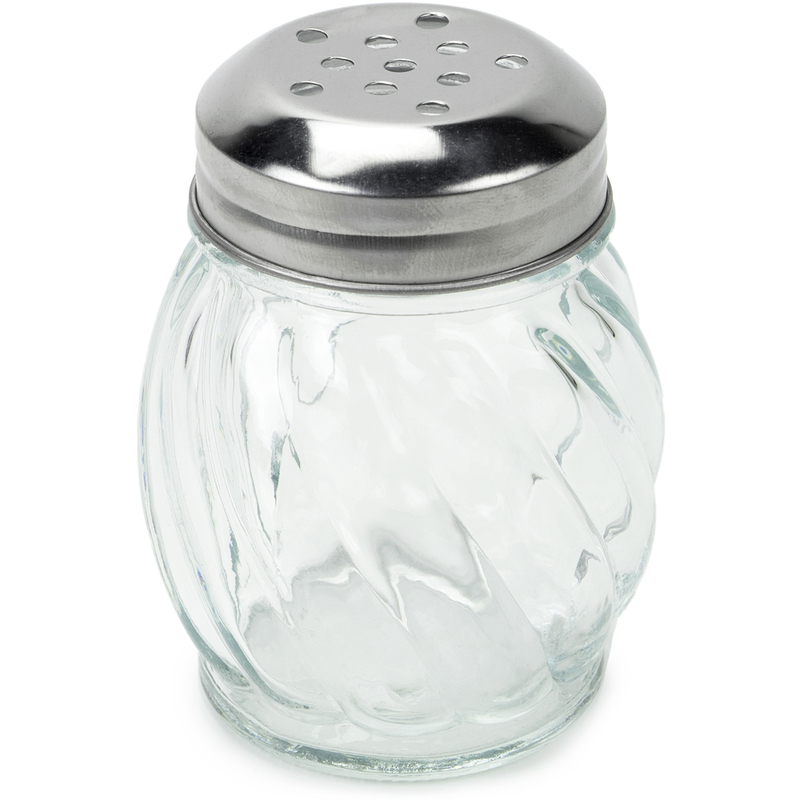 Food Type: Condiment; Flavor: Pepper; Capacity (Weight): 6.8lb; Capacity (Volume): 1.5 oz. 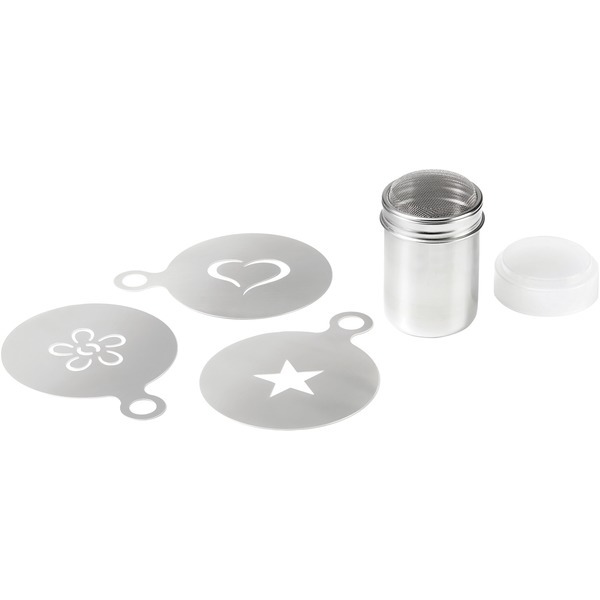 Spice salt & pepper � Herstal – Spice salt & pepper. 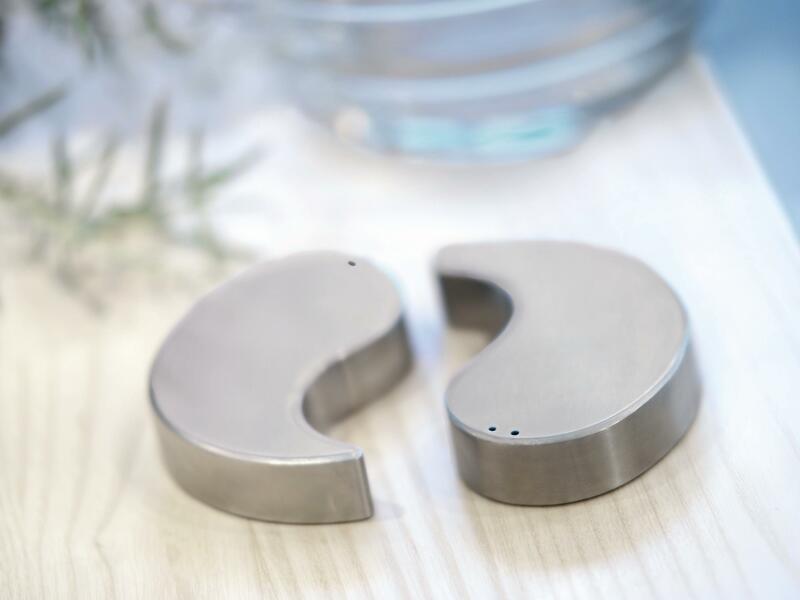 Danish Design � Ying & Yang shaped salt and pepper shakers. � Herstal is a Danish Design company that combines classic contemporary design with the highest quality standards. 6’’ ��������������������� Color: Stainless steel Material: Stainless steel �. Bordeaux Bottle Salt and Pepper Shaker Set. These are a great gift for wine enthusiasts. Wine collectibles and keepsakes are no longer just corks and coasters. Patrons can now collect miniature versions of wine bottles customized with your branding. Every time they use the customized salt and pepper shakers, they remember enjoying the ambiance of your establishment. Add some flavor to your food with a few simple shakes! This commercial grade straight-sided glass flute with metal lid will add a classic touch to your table. 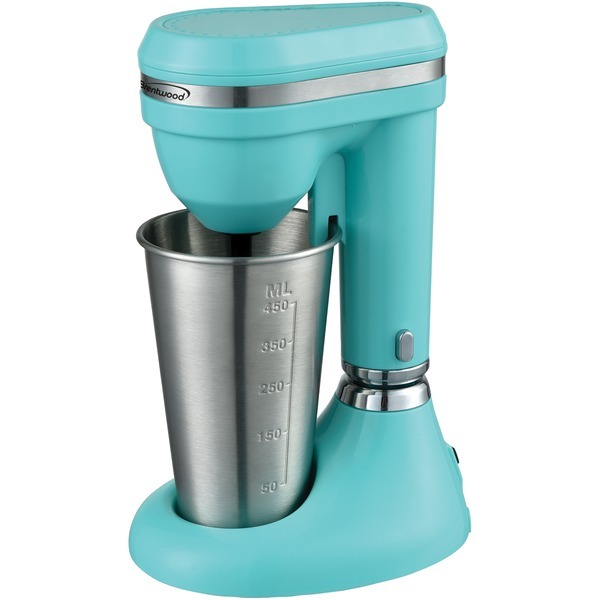 Each shaker holds five ounces of your favorite cheese crumbles and spices. Add some parmesan, mozzarella, or red pepper flakes! They make a great addition to any diner, Italian restaurant, pizza shop, or even your kitchen table. You can keep these in the back of the kitchen for your chefs and wait staff to use as well. When you're finished with a shaker, simply wash it out and use it again! Dishwasher safe, top rack only.